const char FEATURE_TABLE_FILENAME  = "featuretable.txt"
const char GPU_TABLE_FILENAME  = "gpu_table.txt"
Definition at line 4969 of file viewer.cpp. Definition at line 4974 of file viewer.cpp. References LLFile::fopen(), gDebugFile, gDirUtilp, LLDir::getExpandedFilename(), LL_PATH_LOGS, and llinfos. Referenced by idle_startup(), main(), send_crash_report(), viewer_crash_callback(), write_debug(), and write_system_info(). 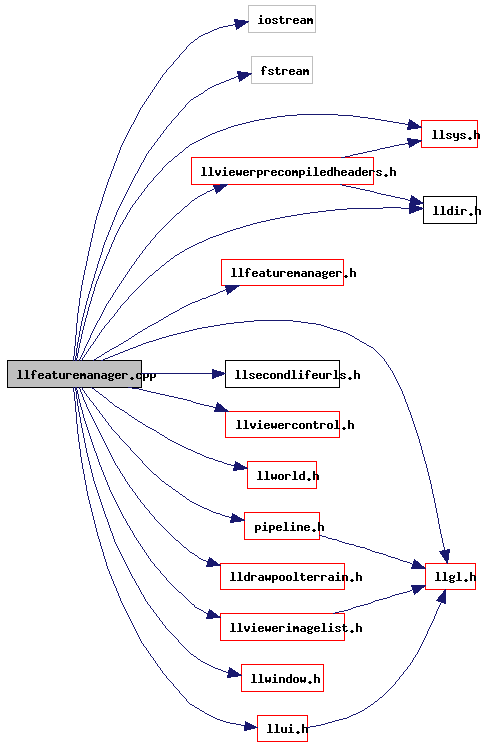 const char FEATURE_TABLE_FILENAME = "featuretable.txt"
Definition at line 71 of file llfeaturemanager.cpp. Referenced by LLPipeline::canUseVertexShaders(), cleanup_app(), display(), LLUseOcclusionListener::handleEvent(), idle_startup(), init_debug_rendering_menu(), LLVOSky::initCubeMap(), LLCubeMap::initGL(), LLViewerWindow::LLViewerWindow(), main(), LLDrawPoolWater::prerender(), LLPanelDisplay3::refreshEnabledState(), LLPanelDisplay2::refreshEnabledState(), LLVOSky::restoreGL(), send_stats(), and LLShaderMgr::setShaders(). const char GPU_TABLE_FILENAME = "gpu_table.txt"
Definition at line 74 of file llfeaturemanager.cpp. Referenced by LLViewerImageList::getMaxVideoRamSetting(), LLFeatureManager::initCPUFeatureMasks(), LLFloaterAbout::LLFloaterAbout(), send_stats(), LLViewerImage::updateClass(), and write_system_info(). Referenced by LLFloaterAbout::LLFloaterAbout(), send_stats(), and write_system_info().